Denial of Long Term Disability (“LTD”) benefits can be overwhelming on the claimant. How are you going to support yourself and your family now? Can you afford the treatments? What if you are not able to work any longer ? If you are denied a claim for LTD benefits, please contact us immediately. It starts with a phone call. Then we will meet with you for a free consultation. 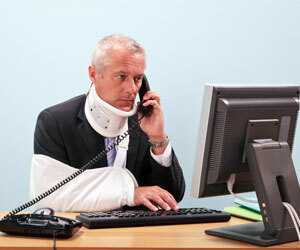 We will gather information from you, your insurance company, and your employer. We will review your policy, medical records, and all other pertinent materials and provide you with an opinion. LTD contracts have been referred to by the courts as “pace of mind contracts”. In crude terms, this means that by paying the premiums you have purchased the peace of mind that if and when an illness or injury leaves you unable to continue to earn your income, some, though small, amount of periodic payments will be provided to you by the insurance company who sold the policy to you or your employer in the first place. However, the truth of the matter is that insurance companies will sometimes deny LTD benefits to those who need and deserve it the most. The denial often leaves the claimant in a vulnerable position, which is often taken advantage of. The physical pain and emotional anguish often associated with long-term disabilities are likely to be the most important considerations for sufferers. Unfortunately, the disability itself is not the only thing injured people have to worry about. Such an injury is likely to mean that the sufferer will not be able to return to work for an extended period, in many cases for the rest of their life. This loss of income would be hard enough for any person to endure, but because disabilities usually entail high medical costs as well, being without an income is even more serious for those suffering from a long-term disability. Due to these costs, qualifying for a long-term disability claim is vital for many disabled people. Being denied a claim or having payments stopped prematurely can lead to stress and worry. It is important to have a personal injury lawyer who knows how to fight for the reinstatement of a denied long-term disability claim. Our experience in handling LTD claims against major insurers and collaboration with medical professionals in various fields will ensure that you will be provided with legal services that are result-oriented, personalized, and professional. We will launch an aggressive fight against the insurer, which will ensure that you receive your maximum entitlement to your LTD benefits.